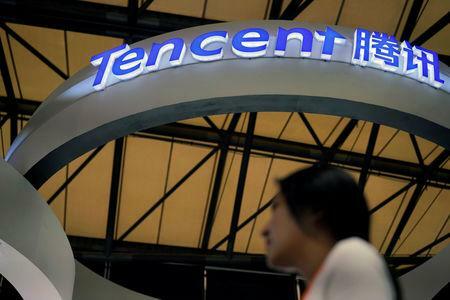 SHANGHAI (Reuters) - Shares of Asian video game companies such as Tencent Holdings <0700.HK>, Nexon <3659.T> and Nintendo <7974.T> tumbled on Wednesday due to concerns over delays in new games releases in China, as Beijing halted approvals for game licenses. Many firms have been awaiting games sales licenses since March after Beijing reformed and reorganized the government bodies that oversee the sectors earlier this year, industry executives told Reuters on Tuesday. China's Ministry of Culture and Tourism did not immediately respond to requests for comment on Wednesday. Chinese technology giant Tencent led the losses, shedding nearly 4 percent and extending a 3.4 percent drop a day earlier, after Chinese regulators blocked the sale of one of its blockbuster titles, "Monster Hunter: World." Shares of Nexon fell more than 8 percent while Japan's Square Enix <9684.T> and Nintendo fell about 5 percent and 4 percent, respectively. Shares of Japan's Capcom Co Ltd <9697.T>, which developed "Monster Hunter: World," slid more than 5 percent.